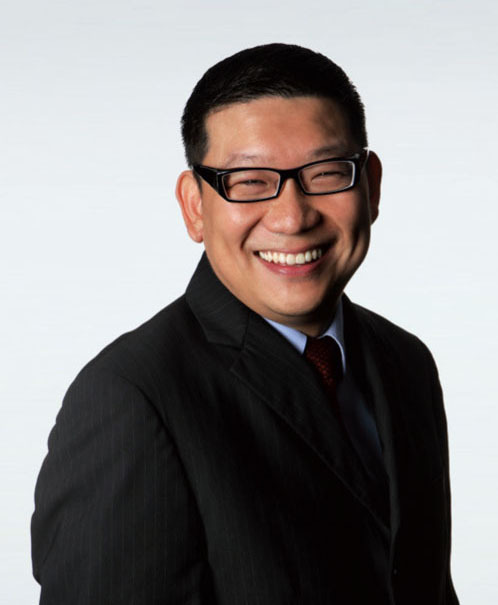 TONIGHT, WE CELEBRATE ONE OF OUR PROFESSION'S BRIGHTEST STARS, CHOW KIAT LIM OF THE GOVERNMENT INVESTMENT CORPORATION OF SINGAPORE, BY HIS INDUCTION INTO THE FIXED INCOME ANALYST SOCIETY'S HALL OF FAME CLASS OF 2012. CHOW NOW HOLDS THE TRIPLE DISTINCTION OF FITTINGLY BECOMING OUR YOUNGEST, FIRST INTERNATIONAL, AND FIRST SWF INDUCTEE INTO THE HALL OF FAME. OUR HALL OF FAME BEGAN 17 YEARS AGO WITH THE INDUCTION OF OUR PROFESSION'S LIVING LEGEND, MARTY LEIBOWITZ, WHOM WE ARE DELIGHTED TO SEE HERE TONIGHT. IN A NICE SYMMETRY, MARTY'S ALSO A MEMBER OF GIC'S INTERNATIONAL ADVISORY BOARD. CHOW'S WELL-DESERVED HONOR RECOGNIZES HIS CONTRIBUTIONS TO ASSET MANAGEMENT IN THE CREDIT, ASSET ALLOCATION, PORTFOLIO CONSTRUCTION, AND RISK ARENAS AS WELL AS IN HELPING DEFINE THE MODERN PRACTICE OF SOVEREIGN WEALTH FUND MANAGEMENT. OUR EVER INSIGHTFUL HALL OF FAME COMMITTEE ALSO COULD NOT PASS UP THE CHANCE TO INCLUDE OUR FIRST GENUINE "AUNTIE-KILLER," A SINGAPOREAN TERM OF ESTEEM USED AFFECTIONATELY BY SOME OF HIS COLLEAGUES TO SIGNIFY CHOW'S GREAT POISE, GOOD MANNERS, AND BOYISH GOOD LOOKS. TO MORE FULLY APPRECIATE CHOW'S SUCCESS AND KNOWING CHOW SHUNS PERSONAL CREDIT, WE MUST SET THE CONTEXT. ROOTED IN THE FIRST WORLD NATION OF SINGAPORE, HOME TO THE FOURTH LARGEST CAPITAL MARKET, MOST CFA's PER CAPITA, AND THE WORLD'S SPEEDIEST BORDER CUSTOMS, GIC WAS FOUNDED IN 1981 TO PRESERVE AND ENHANCE ITS RESERVE RETURNS FOR THE GOVERNMENT ON BEHALF OF PRESENT AND FUTURE GENERATIONS. AND THEY HAVE SUCCEEDED. FEW FINANCIAL ORGANIZATIONS HAVE ACCOMPLISHED AS MUCH IN THE PAST THREE DECADES. GIC JUSTIFIABLY HAS BECOME RECOGNIZED FOR ITS VISION, INTELLIGENCE, DEEP EMPHASIS ON KNOWLEDGE AND ANALYTICS, COLLEGIAL-TEAM-ORIENTED CULTURE, AND ITS ATTENTION TO DETAIL. (IN OTHER WORDS, MOST OF US LONG-TIME SELL-SIDERS WOULDN'T FIT THERE). AND INDEED, NO ONE OTHER THAN GIC EVER ASKED MY OLD LEHMAN INDEX TEAM FOR DURATION AND CONVEXITY CALCULATIONS OUT TO SIX DECIMAL PLACES. BECAUSE OF ITS SUCCESS, GIC HAS BECOME A GLOBAL ROLE MODEL FOR THE id="mce_marker"0.5 TRILLION SWF INDUSTRY, ON ITS WAY TO $20-$30 TRILLION OVER THE NEXT DECADE. GIC'S INFLUENCE GOES BEYOND SWFS, AS MANY PLAN SPONSORS AND ENDOWMENTS HAVE CLOSELY STUDIED AND EMULATED THE GIC MODEL. TRADITIONAL ASSET MANAGERS ALSO HAVE BENEFITTED BY NEEDING TO IMPROVE THEIR PRACTICES TO MEET GIC'S EXACTING CRITERIA. AS ONE EXAMPLE OF ITS INNOVATION, GIC HAS ADOPTED A 20-YEAR HORIZON TO GENERATE RETURNS OVER INFLATION. THIS NOVEL OBJECTIVE, LIKELY TO BE PURSUED BY MANY, CONFERS A DECIDED ADVANTAGE OVER THE SHORT-TERM EMPHASIS OF MOST ORGANIZATIONS. GIC CAN TAKE THE RISK OF ACQUIRING OUT-OF-FAVOR INVESTMENTS. AND SO FAR, GIC HAS HANDILY BESTED ITS LONG-TERM BENCHMARK, SPECIFICALLY BY 4% IN LATEST DISCLOSED FISCAL YEAR. GIC'S "OPEN, TEAM CULTURE" MAY BE ITS GREATEST STRENGTH. FOR GIC HAS CRAFTED AN ENVIRONMENT THAT "FOSTERS LEARNING AND MENTORING" AND "STRIVES TO BE ALWAYS IN TIME FOR THE FUTURE." THINKING BACK, SOME OF MY FORMER COLLEAGUES IN THE 1980S WERE ALWAYS IN TIME FOR THE PAST. FOR TWO DECADES, CHOW HAS PLAYED AN EVER-EXPANDING ROLE IN GIC'S SUCCESS. HAILING FROM A LARGE FAMILY IN JOHOR, MALAYSIA, THAT OWNED A PLANTATION, CHOW'S SCHOOLING WAS IN SINGAPORE. HE GRADUATED WITH FIRST CLASS HONORS IN ACCOUNTING FROM NANYANG UNIVERSITY IN 1993, WHOSE LOGO OF FOUR INTERLOCKING HANDS SYMBOLIZES SERVE, LEARN, GROW, AND LEAD. THIS FOUNDATIONAL GUIDANCE HAS BECOME A TEMPLATE FOR HIS CAREER. REJECTING JOB OFFERS RIGHT OUT OF UNIVERSITY FOR HIGHER COMPENSATION, CHOW ENLISTED AT GIC TO LEARN. CHOW INITIALLY WAS DISPATCHED TO MASTER THE CREDIT FIELD, STARTING FIRST IN MONEY MARKETS AND THEN MOVING OUT THE CURVE INTO CORPORATE BONDS. THIS WAS A DIFFICULT TASK IN THE 1990s, COMING AT A TIME WHEN THE TORRENT OF NEW INFORMATION AND NEW PRODUCTS IGNITED A QUICKENING EVOLUTION OF THE GLOBAL CREDIT MARKETS. MANY WERE CARRIED OFF THE CREDIT FIELD ON THEIR SHIELDS DURING THIS TUMULTUOUS ERA. AND NOT ALL OF THE FALLEN WERE RELYING UPON MY ADVICE. BUT CHOW AND HIS ABLE COLLEAGUES AT GIC, QUICKLY COMBINED A MASERTY OF FUNDAMENTAL ANAYSIS WITH THE LATEST CREDIT QUANTITATIVE TECHNIQUES TO OPTIMIZE CREDIT PORTFOLIO PERFORMANCE. WITHIN A SHORT PERIOD IN THE 1990S, HE WAS VIEWED AS CONSUMMATE CREDIT PRACTITIONER. RECOGNIZING HIS PRODIGIOUS PERFORMANCE AND HIS STRONG LEADERSHIP, GIC PROMOTED CHOW INTO ASSET ALLOCATION TO DEPLOY HIS TALENTS ACROSS MULTIPLE ASSET CLASSES. BY THE EARLY PART OF THE LAST DECADE, HE WAS WELL IN FRONT ON THE ANNOINTMENT OF EMERGING MARKETS AS THE ASSET CLASS OF CHOICE FOR THE EARLY 21ST CENTURY AND POSSIBLY BEYOND. WITHIN ONLY A DECADE OF JOINING GIC, HE WAS APPOINTED IN 2003 AS HEAD OF THE FIXED INCOME, CURRENCY, AND COMMODITIES DEPARTMENT. AGAINST THE MOST TRYING BACKDROP FOR MARKETS IN EIGHT DECADES AND IN FURTHER TESTIMONY TO HIS TALENTS, HIS CAREER BLOSSOMED OVER THE PAST FIVE YEARS. IN 2008, HE WAS ELEVATED TO DEPUTY PRESIDENT OF GIC ASSET MANAGEMENT. AFTER A SHORT TOUR IN EUROPE STARTING IN 2009 AS PRESIDENT OF GIC'S EUROPEAN OPERATIONS AND OVERSEEING THE MIDDLE EAST AND AFRICA, HE RETURNED TO SINGAPORE TO JOIN THE GROUP EXECUTIVE COMMITTEE AS THE DEPUTY GROUP INVESTMENT OFFICER AND PRESIDENT OF GIC ASSET MANAGEMENT, WITH ADDITIONAL RESPONSIBILITY FOR GUIDING HIS FIRM'S BURGEONING INVESTMENT IN CHINA. AND LIKE ALL GREAT CAPITAL MARKET OPERATORS, CHOW POSSESSES ENORMOUS CURIOSITY THAT INSPIRES A DEEP DEDICATION TO EDUCATION AND RESEARCH. INDEED INSIDE GIC, CHOW'S KNOWN AS SOMETHING OF AN OPRAH WINFREY WITH HIS INFORMAL BOOK CLUB. WHEN CHOW LIKES A BOOK, ESPECIALLY ON CAPITAL MARKETS, HE'LL OFTEN BUY A HUNDRED OR SO AND DISTRIBUTE THEM INTERNALLY. UNFORTUNATELY, CHOW'S PRACTICE HAS HAD UNINTENDED CONSEQUENCES. APPARENTLY, SOME OF HIS COLLEAGUES AVOID BUYING NEW INVESTMENT BOOKS, PREFERRING TO WAIT FOR CHOW'S GENEROSITY. WE OBTAINED A COPY OF CHOW'S RECENT ECLECTIC RECOMMENDATIONS. ALL OF THESE ARE OUT OF PRINT, WHICH DOES NOT FULLY SURPRISE GIVEN THAT ALL THE AUTHORS ARE FIASI MEMBERS. THE TITLES INCLUDE: "THE TEN THOUSANDTH BOOK ON THE ROOTS OF THE GREAT RECESSION: THE UNEXPLAINED CONTRIBUTION OF THE 19TH CENTURY RAILROAD INDENTURES" BY MARTY FRIDSON; "STILL MISSING: THE SEARCH FOR THE FIASI HALL OF FAME'S PHYSICAL LOCATION" BY KEITH ANDERSON, WHO THINKS THERE IS A GOOD CHANCE THAT ATLANTIS AND NOAH'S ARK WILL BE FOUND BEFORE THE HALL OF FAME; "THE CHALLENGE OF DEBT PORTFOLIO MANAGEMENT IN A WORLD WHERE THE NUMBER OF MY BOOKS EXCEEDS ALL OUTSTANDING DEBT SECURITIES" BY FRANK FABOZZI; AND MY OWN NOW LESS-THAN-CLASSIC, "SEASONALITY AD INFINITUM: RISK ON EARLY AND LATE; FADE IN MIDDLE". WE EAGERLY AWAIT CHOW'S EVENTUAL CLASSIC. IN SOME WAYS, THIS "BOOK-WAITING" IS A METAPHOR FOR THE GLOBAL ASSET MANAGEMENT INDUSTRY. NONE OF US HERE TONIGHT CAN FULLY PREDICT THE NATURE OF OUR WONDERFUL PROFESSION IN 2025. BUT WE CAN PREDICT WITH CONFIDENCE THAT GIC, WITH CHOW, WILL PLAY A LEADING ROLE IN DESIGNING AND IMPLEMENTING A STURDIER NEXT GENERATION GLOBAL FINANCIAL SYSTEM, AND THAT OUR WAIT WILL BE BRIEF. IN PROFESSIONAL SPORTS, INDUCTION INTO THE HALL OF FAME TYPICALLY FOLLOWS THE END OF A CAREER. NOTHING COULD BE FURTHER FROM THE TRUTH FOR CHOW. THE BEST OF HIS CONTRIBUTIONS TO OUR VITAL GLOBAL CAPITAL MARKET INDUSTRY IS AHEAD, ESPECIALLY HIS ADVENTURES AND LEADERHIP IN INVESTING IN CHINA. CHOW, OUR PROFESSION ALREADY HAS BEEN ENRICHED BY YOUR OUTSTANDING CONTRIBUTIONS. MAY THE NEXT PHASE OF YOUR WONDERFUL CAREER BE EVEN MORE ILLUSTRIOUS! TO QUOTE ONE OF YOUR COLLEAGUES AND PERHAPS TO BESTOW THE ULTIMATE COMPLIMENT: "NICE GUYS REALLY DO FINISH FIRST!" AND THEY ALSO GET ELECTED TO THE HALL OF FAME! SO ON BEHALF OF ALL OF US HERE THIS EVENING, WELCOME, CHOW KIAT LIM TO THE FIASI HALL OF FAME. PLEASE ALL JOIN IN A ROUSING CHEER FOR THIS REMARKABLE YOUNG MAN. Missed the 2012 FIASI Hall of Fame ceremony and dinner? Interested to hear from the awardees or see who was there? Watch the video below or browse our photo gallery from the event to see all that happened. Thank you Jack for your very generous introduction. I see your sense of humour is as sharp as ever. I have worked with you for almost 20 years, debating over a great number of investment ideas and learning so much from you. Thank you for being a long term supporter and teacher. I would first like to congratulate my fellow inductees Bob Auwaerter and Glenn Reynolds. It's a tremendous honour to be in such great company. I would like to thank the Fixed Income Analyst Society, in particular President Mark Howard and the Hall of Fame Committee, for the nomination and for giving me the award. This is a huge honour for me and GIC. Your effort to advance fixed income research and portfolio management, and in continuing education, is very much admired. And, just as important, thank you for arranging such a lovely dinner. I would also like to thank my long time business partners and GIC colleagues, for being here tonight. Some of you have flown here all the way from Singapore. Your presence adds meaning and makes the event so much more memorable for me. In particular, it is great to have here my mentor Eugene Boehringer and former teammate Peter Mullahey. Gene, and the larger GIC fixed income team, supported me in every way over many years, did great work, and the credit should really go to the team. Thank you. I should also thank my wife Alice and my three daughters, who are cheering for me in Singapore. Now I would like to talk about the work of GIC, in particular our commitment to professional advancement, which is what this induction really recognizes. I hope to give you a good idea of who we are, our tenets and how we are preparing for the future. I am also doing this for branding purpose given the esteemed audience here. Let me begin with a quote from the late Dr. Goh Keng Swee, a founding father of modern Singapore and GIC. He said, and I quote : "There is no real secret about the way in which nations and individuals grow rich. They must save a good part of their incomes and invest their savings profitably. The more you save and the more wisely you invest, the faster you get rich." Unquote. It sums up GIC's work nicely – to invest wisely, to create wealth by professionally managing the national savings. GIC, or Government of Singapore Investment Corporation, was set up in 1981. Yes, when Treasury bonds were yielding 14%. We wanted, in fixed income language, to extend the duration of our then small pool of T-bill investments. We did this by investing in bonds, equities, real estate and other long term assets. It was good to extend duration at 14% bond yields. We also wanted to build an organization that was singularly focused on long term investing. Since then, we have grown from managing less than 1 billion to well over 100, from 1 asset class to 13, from 1 office to 9, and from having 20 people to over 1200. We have now a buffer for economic vagaries, a confidence anchor for our financial system, and a steady stream of revenue for the Singapore government to fund its annual budget. In this time of widespread systemic concerns and fiscal difficulties, we are particularly reminded of and grateful for that decision 31 years ago. We celebrated our 30th anniversary last year, and reflected on the past and future. The future looks daunting and exciting at the same time. We are entering the next 30 years with very low global bond and dividend yields, hinting at prospects of low investment returns. At the same time, the great rise of new economies like China and India are giving us many new opportunities. Technology continues to promise great changes. Faced with these, GIC would need to maintain the certainty of purpose, stick to our long term orientation, and with the help of our business partners, prepare early for the future. We have a saying, tomorrow is determined today. In particular, we will need to remain committed to professional advancement. In that regard, this Hall of Fame induction is a great encouragement to us. In pursing professional excellence, our training in fixed income investing will prove useful for GIC. It will be useful not just in the area of bond investing, but also in other areas, as it has proven for me personally as I took on new responsibilities. The systematic approach, the quantitative rigor, the attention to wider macro developments, and the constant innovation to find better solutions, are good training for any investment challenge. Invest wisely, as Dr. Goh said, is half of the secret to getting rich. Robert F. Auwaerter is Principal and the Head of the Fixed Income Group at the Vanguard Group of Investment Companies. Bob joined Vanguard in 1981, when Vanguard brought in-house the portfolio management of its municipal bond and municipal and taxable money market portfolios. Bob has oversight management responsibilities for all the money market and bond portfolios in the Fixed Income Group with total assets of approximately $650 billion. Bob has an undergraduate degree in Finance from the Wharton School of the University of Pennsylvania and earned a MBA degree from the Kellogg Graduate School of Management of Northwestern University. 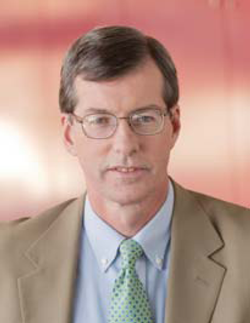 Bob has over thirty three years of fixed income management experience and serves on the Fixed Income Forum Advisory Board and the Credit Roundtable Advisory Board, both of which are organizations representing the interests of large buy-side fixed income investors. Mr. Auwaerter has testified before Congress on fixed income market and trading issues, and he is often quoted in the press about fixed income funds and markets. 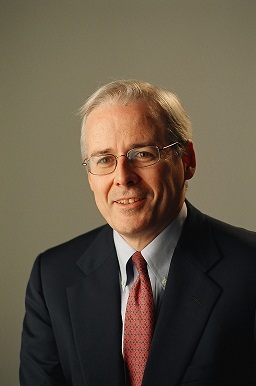 Glenn Reynolds is the CEO and Co-Founder of CreditSights, an independent credit research firm primarily focusing on the credit markets but also serving a range of equity-oriented clients and corporate risk managers. The company has grown from 8 employees at inception to over 125 employees since its founding in September 2000, with main offices in New York, London, and Singapore. CreditSights has almost 1,000 institutional clients across a wide range of asset management, banking, brokerage, and corporate sectors. The company was the first provider of credit research to unbundle research from major Wall Street firms and to grow an operation to scale in the newly defined space between the brokerage firms and the rating agencies. The company has frequently been cited as the #1 provider of independent credit research. Previously, Reynolds was a Managing Director at Deutsche Bank, serving in a number of roles including Director of Global Credit Research and Head of Global Credit Strategy from 1997 to 2000. He also was a Managing Director at Lehman Brothers, where he worked in a variety of positions from 1986 to 1997 including Director of Global Credit Research and Chief Credit Officer. In his various global research director roles, he oversaw credit analysts across New York, London, Frankfurt, Sydney, Tokyo, Hong Kong, New Delhi, and Singapore. Reynolds started his credit career on the buy side at Prudential Insurance and worked on a range of high yield and high grade portfolios after previously working for Deloitte Haskins & Sells as a CPA. Reynolds had received numerous Institutional Investor accolades across a number of categories and industries including corporate strategy, autos, manufacturing, transportation, basic industries, and energy before assuming roles as a Research Director at Lehman Brothers and later at Deutsche Bank. He has testified before various Senate and House Committees and the SEC on credit-related topics including the Enron collapse, the automotive industry restructuring, and credit rating agency reform. Reynolds graduated from Harvard College in 1980 with an AB in History and Economics and received an MS in Accounting from NYU in 1981. Lim Chow Kiat is currently the President of GIC Asset Management, a member of the Group Executive Committee and Head of China Business Group. He joined GIC in 1993 as a portfolio manager. He was appointed as head of the fixed income, currency and commodities department in 2003. In 2008, he was appointed Deputy President of GIC Asset Management. In 2009, he was appointed President (Europe), overseeing GIC's investments and relationships in Europe, Africa and the Middle East. He graduated with first class honours in Accountancy from Nanyang Technological University and has attended the Stanford Executive Program. He is a chartered financial analyst.